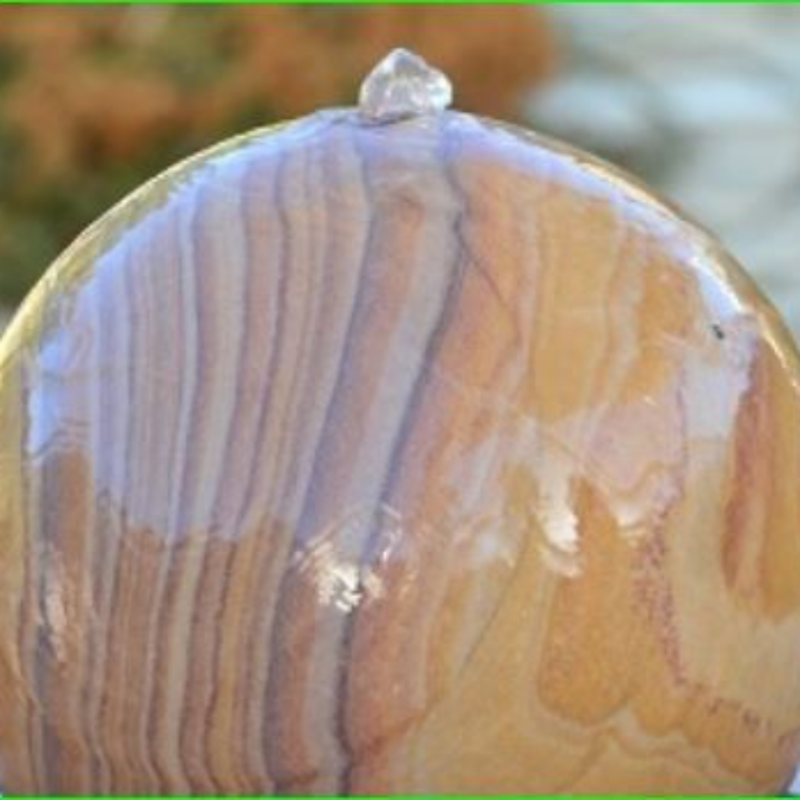 Complete Kit with Sphere pump, hose and reservoir . 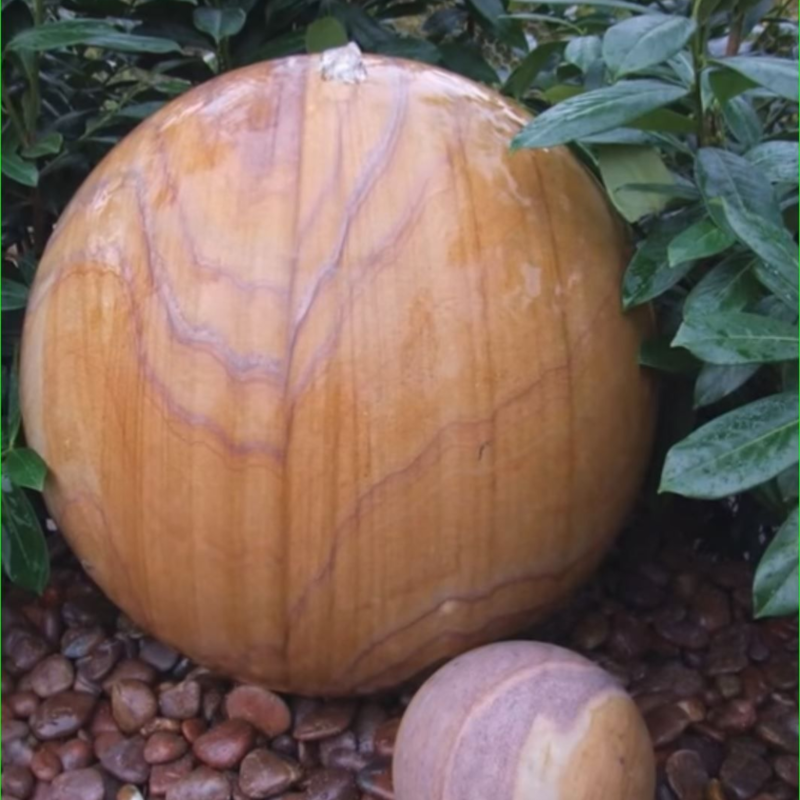 The natural twists and turns in this natural rainbow sandstone are unique to each piece, the natural pattern of this stone reminds people of wood or the planet Venus. 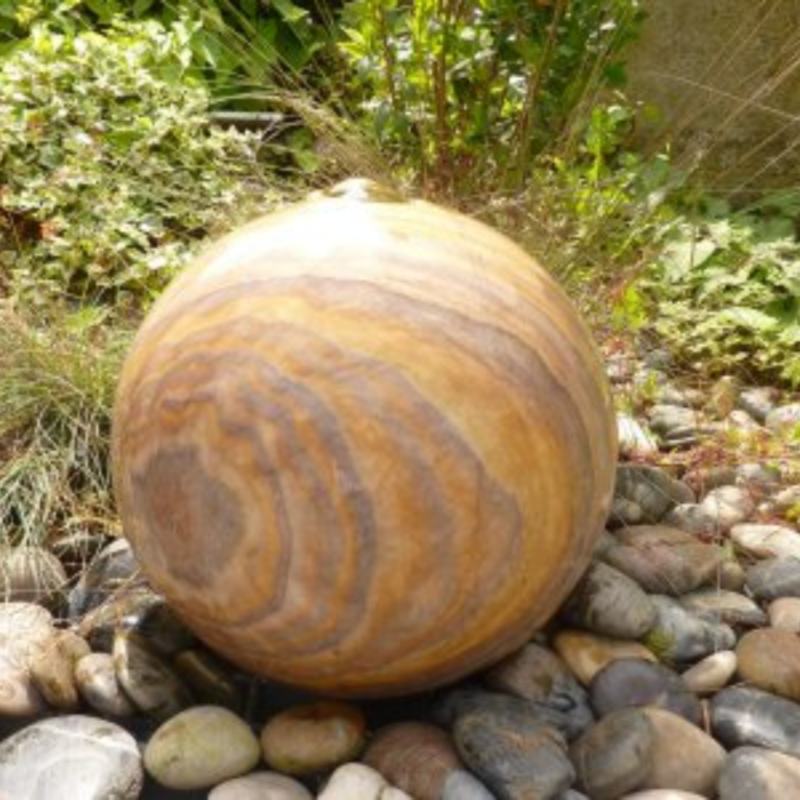 Unique Rainbow Sandstone Sphere Water Feature of 500 mm (20 inches) diameter.